The number of white terror suspects arrested by British counter-terrorism officers has overtaken Asians for the first time in over a decade, official UK Home Office figures reveal. Indicating a growing threat from far-right extremism in the country, figures released on Thursday show a total of 351 arrests were made over the past year until June 2018 where terrorism-related activity was suspected, with 133 of them white and 129 recorded as Asian ethnic appearance. “This was the first time, since the year ending June 2005, that the proportion of white people arrested has exceeded the proportion of Asian people arrested,” a Home Office statement noted. 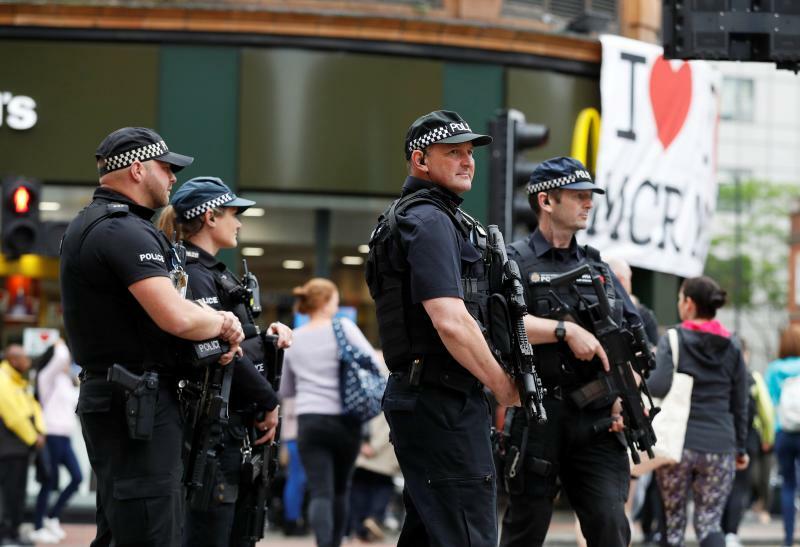 White people arrested on suspicion of terrorism accounted for 38 per cent of terrorist-related arrests in the latest period – an increase of 4 percentage points on the previous year. There were falls in the proportion of arrests of those of Asian ethnic appearance, down seven percentage points to 37 per cent, and those of black ethnic appearance, down two percentage points to 9 per cent, the Home Office said. The figures also reveal a total of 100 people went to trial in the year ending June 30 this year – an increase of 39 per cent on the previous year. Of those, 90 were convicted, the highest number since data collection began in 2009. Out of the 92 individuals charged with a terrorism-related offence, 48 were prosecuted, and 46 of those were convicted and two were found not guilty. “We may have seen a reduction in the number of arrests in the last 12 months, but we should put that in context by saying that we prevented 13 Islamist-related and four extreme right-wing plots since March 2017, so it certainly doesn’t indicate a reduction in the threat we all face from terrorism,” said Deputy Assistant Commissioner Dean Haydon, Scotland Yard’s counter-terror police senior national coordinator. The latest figures cover the use of anti-terrorism powers in Britain and reveal that 234 arrests were registered in the “international” category. This includes suspected activity linked to or motivated by terrorist groups abroad such as Islamic State (ISIS). “There have been steady increases in recent years in the number of terrorist prisoners across all the types of ideologies covered, although the number of Islamist extremist prisoners saw a slight decrease, for the first time, of 4 per cent, to 178 in custody,” the Home Office said. Of those in custody, 82 per cent were categorised as holding Islamist extremist views, a further 13 per cent as holding far-right ideologies and 6 per cent other ideologies. “The proportion of prisoners holding far-right ideologies has increased steadily over the past three years, with the number up from 10 to 28 in the latest year,” it adds.